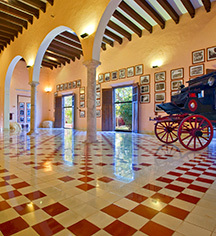 Hacienda Temozon, a 17th century sisal hacienda from the Belle Époque, is the perfect setting to host a special event, anniversary, dinner, or wedding. Cocktails can be served at the terrace or horse stable, and the back garden can host over 1,000 guests. 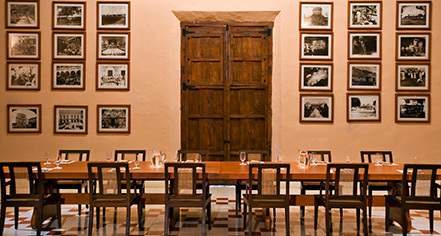 Indoor receptions can be held in the ballroom, located at the rear of the hacienda. For small events, Salon Sky is the perfect locale. Salon de Pacas can be used for events or meetings for up to 100 guests. For couples looking to tie the knot in the Yucatan, Temozon has a consecrated chapel for Catholic weddings. Couples can also choose from a Mayan wedding in the private cenote or a civil wedding in the front garden.